In a Hadith narrated by Imam Muslim, the Prophet (peace be upon him) said that “InnAllaha jameel wa yuhibbul jamaal” meaning that surely Allah is beautiful and loves beauty. Out of all of creation, Allah manifested the most beauty in the most honoured of Allah’s creation, i.e. human beings. And out of all of human beings, Allah manifested the most beauty in the external appearance and inner being of the Prophet (peace be upon him). The books of Hadith are replete with descriptions of the physical beauty of the Prophet (peace be upon him). For example, Imam Tirmidhi narrates: “Abu Hurairah (Allah is pleased with him) says: “The messenger of Allah (peace be upon him) was so clean, clear, beautiful, and handsome, as though his body was covered and moulded in silver. His hair was slightly curled.” Meanwhile, the Holy Qur’an itself attests to the beautiful character of the Prophet (peace be upon him), “And assuredly you possess a magnificent nature” Qur’an 68:4. It is therefore not surprising that out of all of creation, the most beloved to Allah is the Prophet (peace be upon him) for Allah loves beauty and has manifested the most beauty in the Prophet (peace be upon him). However, there is another aspect to the beauty of the Prophet (peace be upon him). When we conceive of beauty, we generally conceive of beauty as being outer beauty and then beauty of character. However, another aspect of beauty is the beauty found in the actions of the Prophet (peace be upon him). When determining whether an action is beautiful, one must look to the effects of such actions on the human condition, i.e. what are the positive effects of this functional beauty on the human condition. Every aspect of the Prophet (peace be upon him)’s being including every action of the Prophet (peace be upon him), is full of benefit for humanity and acts as a medicine (shifa) or an antidote to the spiritual disease and moral decay which has crept into the contemporary human condition. In fact, this beauty of the Prophet (peace be upon him) becomes even more manifest when we survey the ugliness found in the contemporary human condition especially the epidemics of desacralization and materialism. Each and every Sunnah of the Prophet (peace be upon him) is full of beauty, wisdom and benefits. Allah says in the Blessed Qur’an: “Verily there is for you a good example in the Messenger of God for whoever hopes for [the encounter with] God and the Last Day, and remembers God often.” Qur’an 33:21. We should state at the outset that none of the Sunnahs of the Prophet (peace be upon him) require revalidation from a scientific or quantitative perspective, i.e. we should not abstain from the Sunnahs of the Prophet (peace be upon him) only because we have not received scientific revalidation for the Sunnah. Nor can we reject a Sunnah of the Prophet (peace be upon him) because it appears that some scientific research on the surface appears to contradict the Sunnah of the Prophet (peace be upon him). In an ideal world, it should be enough for us to know that a particular act is the Sunnah of the Prophet (peace be upon him) and this would prompt us to emulate his example. “And whatever the Messenger gives you, take it; and whatever he forbids you, abstain [from it].” Qur’an 59:7. This verse of the Qur’an was the motto of the best generations of the early Muslims. For the first generations, knowing that the Prophet (peace be upon him) had engaged in a certain action was sufficient for them to emulate his example. Undoubtedly this was behind the spiritual energy that propelled them within a hundred years of the passing away of the Prophet (peace be upon him) to the Pyrenees and to the borders of China. However, we live in a very different day and age. We have inherited a predicament from our recent ancestors in which the Muslim world and our minds and souls have been ravaged by the effects of colonizability and colonialism. Colonizability meaning that we became so weak internally that we became susceptible to colonialism. Colonialism caused every aspect of traditional Muslim life to be uprooted and left in shambles, whether it is our educational systems, our economies, our physical appearances, our thought, our approach towards our traditions, and in particular our relationship with the Sunnah of the Prophet (peace be upon him)—how we view the Sunnah and what superiority and inferiority complexes we engender within our own selves. In fact, it would be no exaggeration to say that if a pre-colonial Muslim were to meet a post-colonial Muslim, it would probably be difficult for the former to recognize the latter as belonging to the same civilization. One of the effects of colonialism is a deep-rooted spiritual and intellectual inferiority complex in the Muslim psyche. The irony is that while post-colonial Muslims are unable to equal or even emulate the scientific achievements of the contemporary West, we have on the whole become indiscriminate consumers of Western thought and science and its fruits. Furthermore, the Muslim psyche has become overawed by Western science. We have become afflicted with and victims of gharbzadegi i.e. “westoxification” (to borrow a term used by post-colonial Eastern philosophers). One of the results of such gharbzadegi is that we, as a nation, have more easily abandoned the Sunnahs of the Prophet (peace be upon him). What is the medicine for the above mentioned illness of abandoning the blessed practices of the Prophet (peace be upon him)? I would posit that it is two-fold. Firstly, there is a task best-suited for our esteemed ‘ulema and shaykhs and those engaged in the field of da’wah and that is reviving our love for the beloved Prophet (peace be upon him). The revival of this love for the Prophet (peace be upon him) will to a great extent wash away the effects of the inferiority complexes that afflict us. Secondly, keeping in view our existing inferiority complexes, it is critical that our Muslim scientists and medical researchers (under the guidance of qualified ‘ulema), delve deeply into the Sunnahs of the Prophet (peace be upon him) and uncover those benefits which are not immediately apparent to us. Unfortunately, a large number of educated, contemporary Muslims will be more inclined to give weight to a Sunnah of the Prophet (peace be upon him) if the scientific and medical benefits of such a Sunnah are presented before us. Those of us who are afflicted by inferiority complexes will be further encouraged to emulate the blessed example of the Prophet (peace be upon him) and will be able to take advantage of the benefits in these sunnahs. This in turn will also aide those esteemed ‘ulema, shaykhs, and people of da’wah who are engaged in the process of engendering the love of the Prophet (peace be upon him) and his Sunnahs in the hearts of the Ummah. Keeping in view the above need, the purpose of the paper is to make a first limited attempt, albeit from the perspective of a non-specialist, to shed scientific and historical light on one aspect of the Prophet (peace be upon him)’s daily routine, i.e. his sleep routine. This aspect of the Prophet (peace be upon him)’s daily routine will be examined from the perspective of scripture as well as science to illustrate the wisdoms in the Prophetic Sunnah. At the outset, the following should be noted about what we mean by “daily routine”. Firstly, the daily routine we are referring to is that in the Madinan period of the Prophet (peace be upon him)’s life rather than the Makkan period. This is because the Madinan period is one for which we have the majority of reports in relation to the Prophet (peace be upon him)’s daily schedule. Moreover, as the Makkan period was characterized by persecution of the early Muslims, the early community was not able to establish a routine that they could follow due to daily arising challenges. Secondly, when we use the term “routine”, we mean the general pattern of the Prophet (peace be upon him)’s day and night. This however would be altered on many occasions when there was a need to fulfil in relation to the challenges faced by the newly established Muslim polity in Madinah Munawwarah. He would encourage his followers to perform ablution (wudu) before sleeping. He would say some prayers (dua) before sleeping. He would lie on his right side. He would dust and clean his bed before sleeping. He would turn off the lamp before sleeping. He would sleep after Isha until about after midnight. Then he would stay awake and pray tahajjud until when about a sixth of the night was left before the Fajr time starts. Then, he would nap after tahajjud until the Fajr prayer. He would take a mid-day afternoon nap around Zuhur time. In the sections that follow below, we will examine some of the above aspects of the Prophetic routine and examine them from a scientific, medical, and historical perspective. Imam Bukhari narrates that the Prophet (peace be upon him) said, “Put out lamps when you go to bed, shut the doors, and cover water and food containers.” Focusing, in particular, on the putting out of lamps, this recommendation from the Sunnah is supported by current medical studies which give importance to maintaining a dark environment during sleep so that the circadian rhythm is not disrupted. The Prophet (peace be upon him) generally encouraged his companions to limit their activities after Isha prayer. Imam Bukhari narrates that the Prophet (peace be upon him) said, “One should not sleep before the night prayer, nor have discussions after it.” Thus, the encouragement of the Prophet (peace be upon him) is to sleep early, i.e. as soon as possible after Isha prayer. It was the blessed habit of the Prophet (peace be upon him) that he would sleep after Isha prayer and then awake around the middle of the night. Thereafter, he would stay awake including to engage in tahajjud prayer and then sleep again when about a sixth of the night was left until when Fajr time would start. Thus, the sleep of the Prophet (peace be upon him) was segmented sleep, i.e. it was composed of a first and second sleep segment in a single night. After sleeping for the second segment of the night, the Prophet (peace be upon him) would awake again at the time of Fajr prayer and then would stay awake. 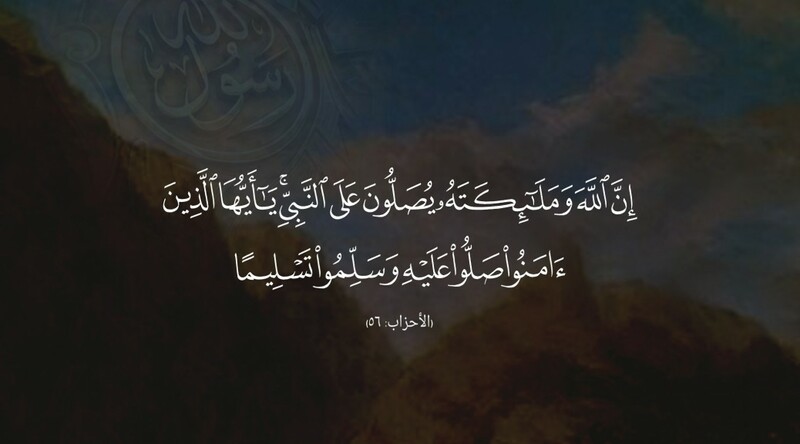 The Prophet (peace be upon him) would also encourage his followers to take advantage of the morning – in fact a Prophetic prayer as narrated in Ibn Majah is: “Oh Allah, give barakah to my Ummah in their early-morning work.” In another Hadith narrated by Imam Ahmad, the Prophet (peace be upon him) was reported to have said: “Allah made the early hours blessed for my Ummah”. afternoon nap.’’ (Bukhari). In another Hadith, the Prophet (peace be upon him) was reported to have said: “Take a short nap, for Devils do not take naps” (Sahih Aljamie). A review of the above paper and its associated research literature indicates that science is catching up with the Sunnah of the Prophet (peace be upon him). In particular, taking the Prophet (peace be upon him) as a model of human behaviour and in examining his daily routine and schedule. Just by examining one aspect of his daily routine (i.e. his sleeping pattern), it becomes apparent that there is a great need to delve deeper into the study of the Prophet (peace be upon him)’s daily routine from the perspective of modern science in order to highlight the benefits in adopting it. It is our hope that the readers of this paper, in particular Muslims scientists and medical researchers, will be encouraged by this layperson’s efforts to seek out qualified ‘ulema under whose guidance they can conduct research into aspects of the Prophetic Sunnah. Furthermore, while there are many centres in the Islamic world for the study of the Sunnah and Hadith, it is our recommendation and hope that some Muslim government will take it upon itself to establish a unique centre of excellence and research under the umbrella of which Muslim scientists, medical researchers, and ‘ulema will work together to highlight the wisdoms behind the beautiful practices from the life of our beloved Prophet (peace be upon him) so that the meaning of the verse “Verily there is for you a good example in the Messenger of God for whoever hopes for [the encounter with] God and the Last Day, and remembers God often” (Qur’an 33:21) becomes even more apparent.